You might have read that "food supplements are a waste of money - we can obtain all the vitamins and minerals we need from a balanced diet". This may be true if you can grow your own organic vegetables, live a pollution and stress-free life, and have perfect genetics, but this is unlikely to apply to most people. Even assuming that you eat 5 or more portions of fruit and vegetables daily, you could still be deficient if your food was grown on mineral depleted soil - and since 1941 the mineral content of UK soil has decreased by over 50%! Individuals even more at risk include the elderly, smokers, drinkers, exercisers, convalescents and women who are pregnant, breastfeeding or hoping to become pregnant. Restrictive diets, food intolerance and reliance on pre-cooked fast food will all increase the likelihood of deficiencies. 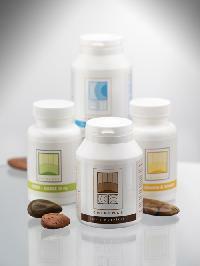 EMINENCE offers access to a range of specialist practitioner-quality supplements. These include our own branded products, which represent remarkable value as there are no ‘middle men’ or advertising costs. Margaret Papoutsis has personally formulated our best selling product Joint Nutrition . Who better than a Nutritional Therapist, who is also an Osteopath, to help you with your joints and bones? Her lifetimes experience in complementary healthcare has also resulted in a collection of hand-picked supplements which cover a wide variety of health interests.